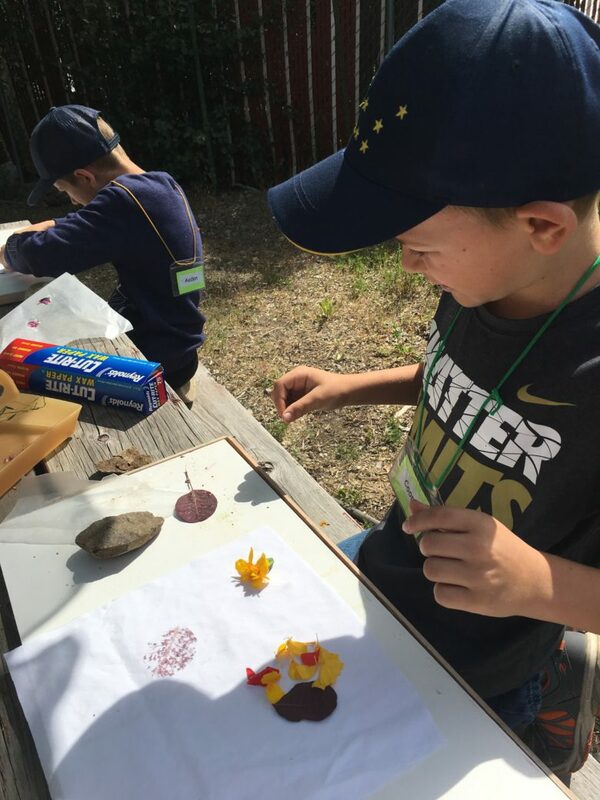 Third grade students at Methow Valley Elementary School had no idea that they could make art using a rock and some flowers, but after a day of learning the Victorian art of flower bashing, they were sold on the process. No one confers as much meaning upon individual flowers as those in the Victorian era. Flowers were used to send messages–often secret messages– to friends and love interests. Depending on how the flowers were arranged, the meanings differed. Winthrop artist and Methow Arts teaching artist Sara Ashford has been working with natural dyes and pigments for decades and has cultivated a native plants garden from which she takes flowers and other botanicals to use to dye silks and cottons. 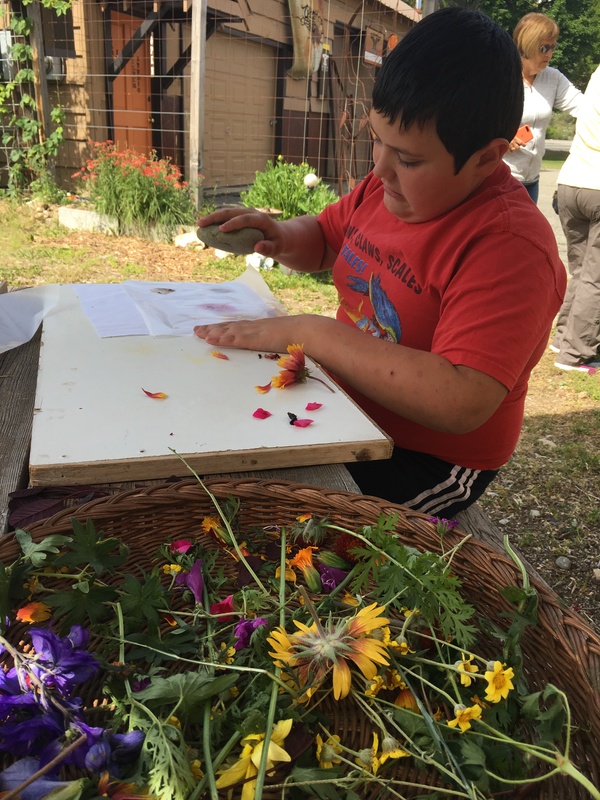 When the 3rd grade students visited Sara’s studio during an end-of-year class field trip, they were invited into the garden to select flowers, leaves, and petals to use in their own fiber dyeing projects. 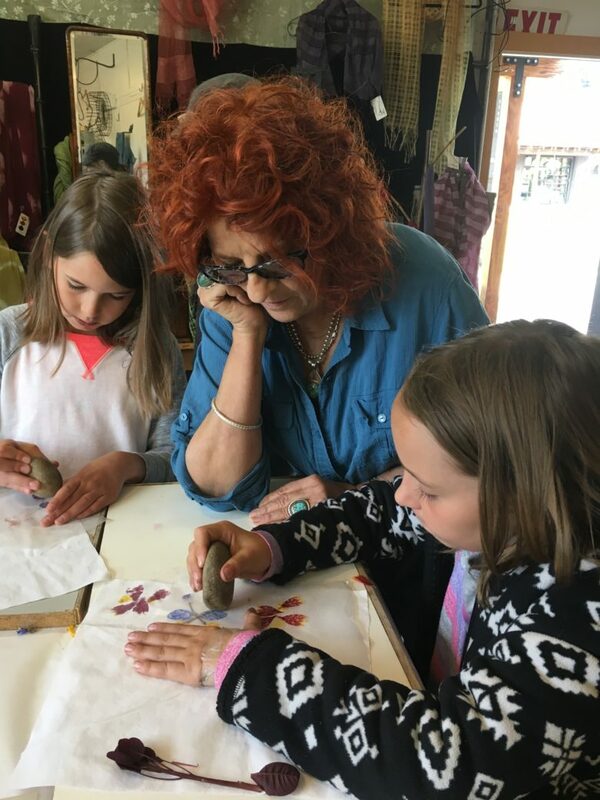 They then placed the objects on a cotton square and used rocks to pound the pigments of the plants into the fibers, creating small but vibrant fabric flags they could take home. This residency is part of the Okanogan Region Artist-in-Residence (AIR) Program. 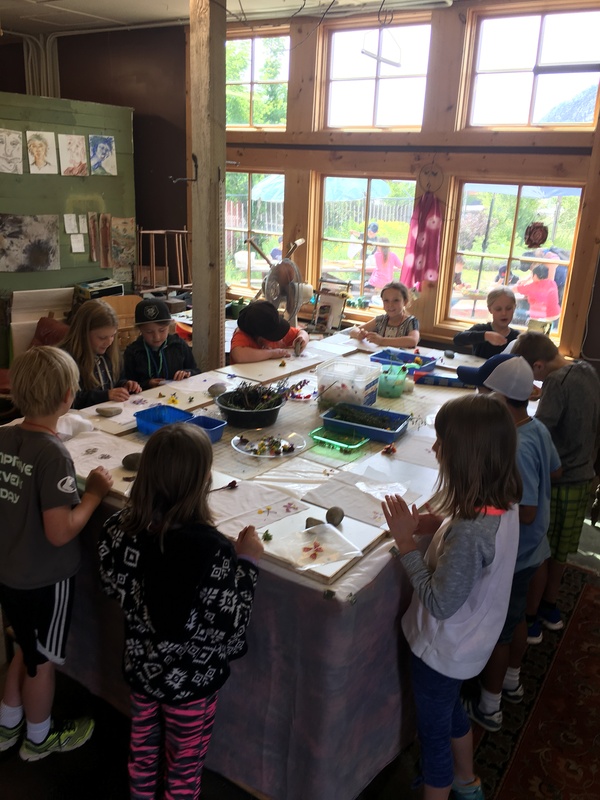 The AIR program is a collaboration between Methow Arts Alliance and the Brewster, Bridgeport, Methow, Omak, Okanogan, Pateros, and Paschal Sherman Indian Schools. The program in the Methow Valley School District is made possible through grants from Icicle Fund,the Washington State Arts Commission, the Robert B. McMillen Foundation, the Public School Funding Alliance, the Methow Valley School District, and the Methow Valley Fund of the Community Foundation of North Central Washington.